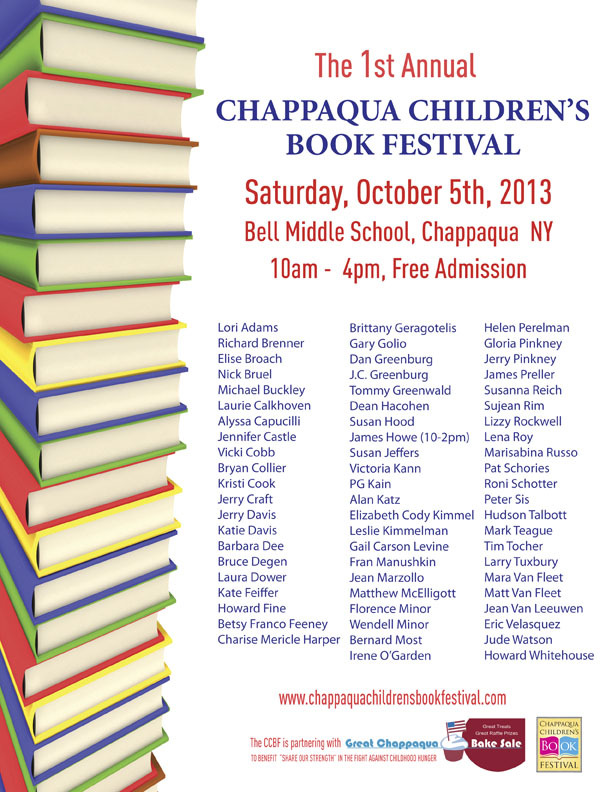 The 1st Annual Chappaqua Children’s Book Festival: October 5th . . . That’s Soon! Come to the Bell Middle School in Chappaqua, NY and celebrate reading with some of the area’s most fabulous authors (and I’m crashing the party!). This particular festival has risen from the ashes of the great, departed Sunnyside Book Festival in Tarrytown, which I dearly loved. Here’s to new beginnings. If you are around, please stop by and say hello. As always, great weather is personally guaranteed.